A new world record for the highest-ever cricket match has been set by an international team of cricketers by playing at the top of Kilimanjaro. Tanzania’s Kilimanjaro is Africa’s highest mountain. The teams included former South Africa fast bowler Makhaya Ntini and ex-England spinner Ashley Giles. The game was played at a height of 5,730m (18,799 ft) in a flat crater just below Kilimanjaro summit. They played 10 overs each of a Twenty20 game before clouds stopped play. “This is absolutely incredible! 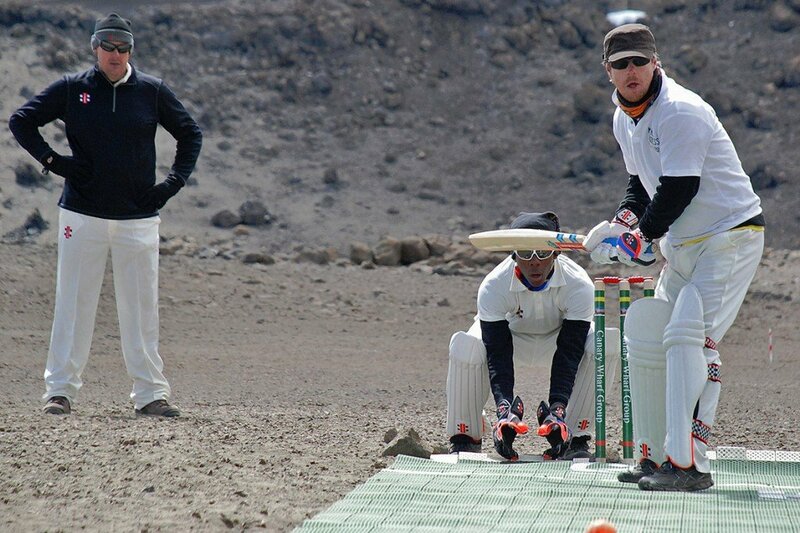 We are playing cricket on the summit of Africa!” Ashley Giles tweeted on September 26. The current record for the world’s highest game is 5,165m, played in the Himalayas at Everest base camp in Nepal in 2009. The “Gorillas” team, led by England women’s vice-captain Heather Knight, scored 82-5 to beat Giles’ “Rhinos” team, who managed 64-9, the AFP news agency reports.